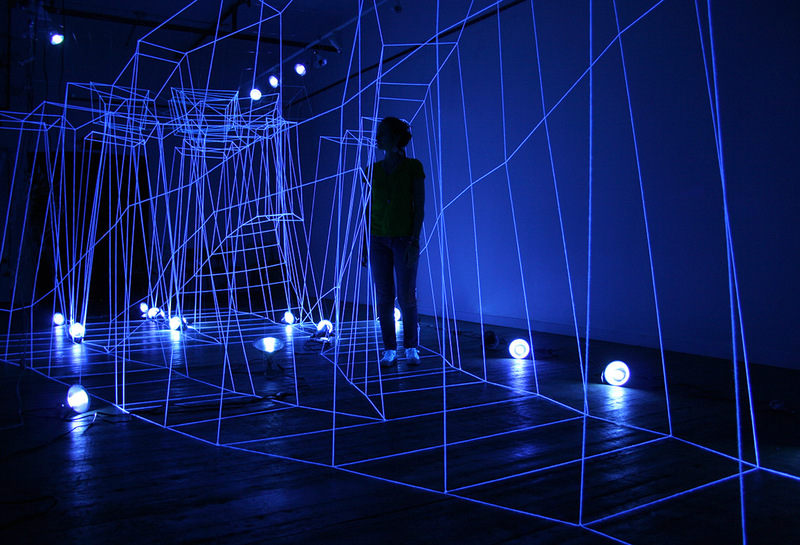 Part 3 of this immersive installation can be translated as an out of body experience. As the viewer moves towards that room, they see a projection of themselves walking within the structure they were just in (Part 2: vimeo.com/128297027). 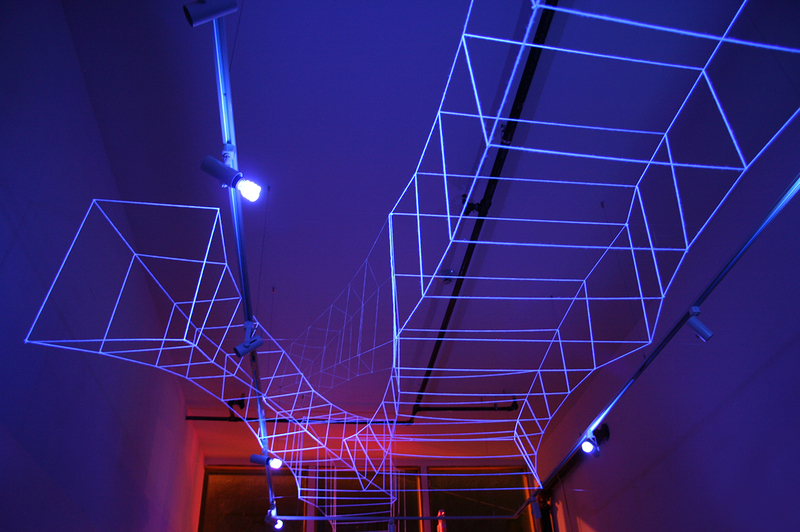 This work was developed during a 2 month art residency (Laboratory Residency) in Spokane, WA. 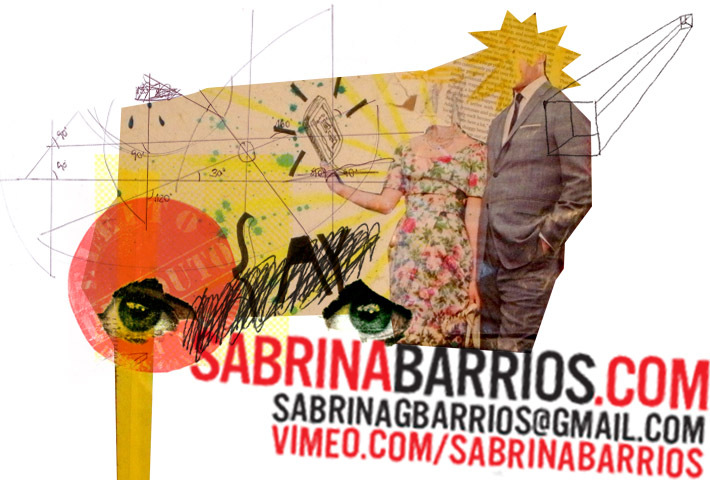 Part 2 (seen in the video) is a bodily exploration, where the viewer is invited to engage with the life-sized work by walking within it while making their own decisions–such as going left, right or turning back. 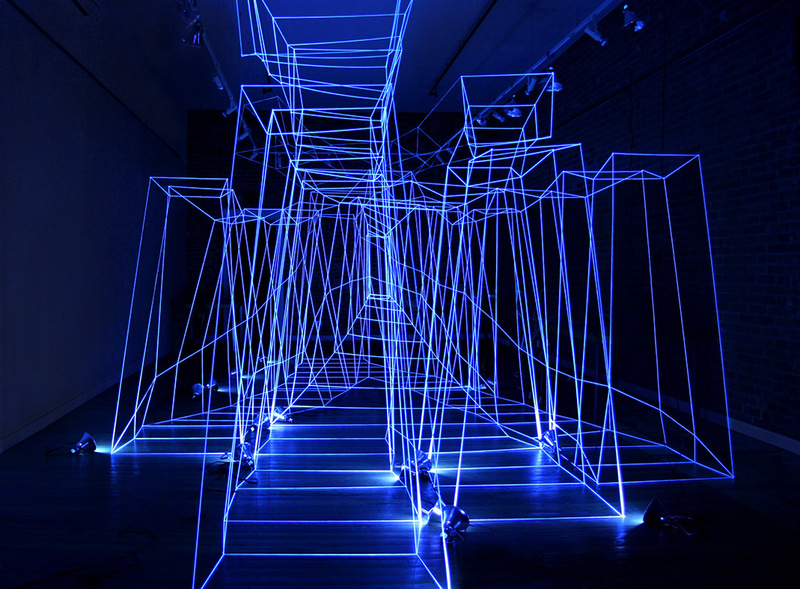 Regarded as a metaphor for one’s life trajectory, each segment of the structure is illuminated as people walk. The structure as a whole is shaped as waves and brings about ideas of quantum mechanics, that investigates the microscopic world. In that realm, the laws indicate that particles are spread through space like waves, without any specific location, until they are measured. Studies on that field also suggest that the choices one hasn’t made in this reality happened in a parallel one. In other words, it is possible that you have chosen everything you haven’t experienced in this life. “Zero–Part 1: Blank Slate” will be exhibited on May 21st, 8–11pm at 228 W Sprague Ave, Spokane, WA, as part of the Laboratory Residency. In Locke’s philosophy, blank slate–or tabula rasa–was the theory that human beings are born with no built-in mental content. They acquire data due to sensory experiences. When it comes to ancient knowledge and their religious/mystic beliefs (Alchemy, Spiritism and Egyptian culture, for instance), the thinking was that humans are immortal spirits who temporarily inhabit physical bodies, and after death their souls move on. Moreover, before returning, they go through a cleansing process, where any trace of past experiences is left behind. 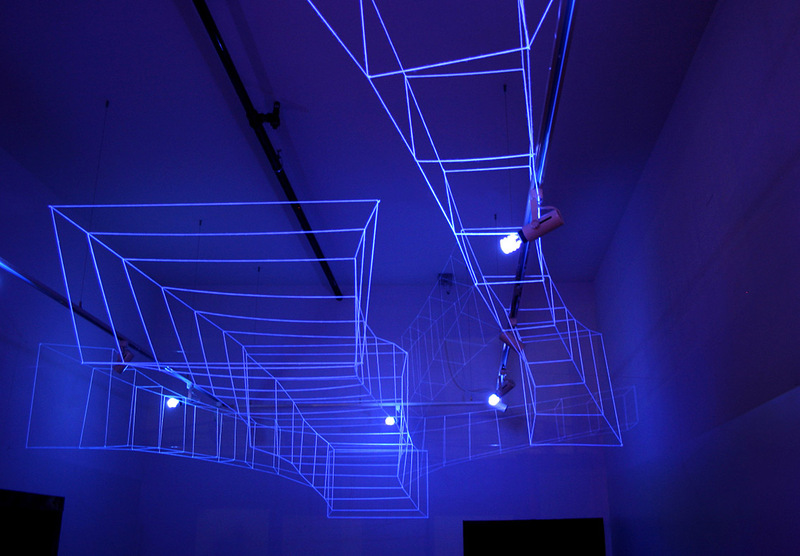 Part 1 of the exhibition shows geometric tunnels suspended in the air, representing the energy of the soul and spirit, right before reincarnation. 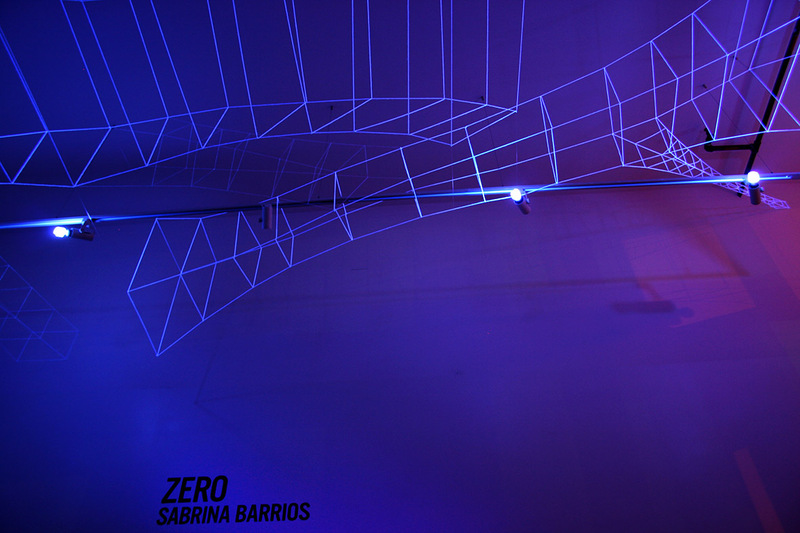 “Zero–Part 2: Life” will be exhibited on May 21st, 8–11pm at 228 W Sprague Ave, Spokane, WA, as part of the Laboratory Residency. Part 2 is a bodily exploration, where the viewer is invited to engage with the life-sized work by walking within it while making their own decisions–such as going left, right or turning back. 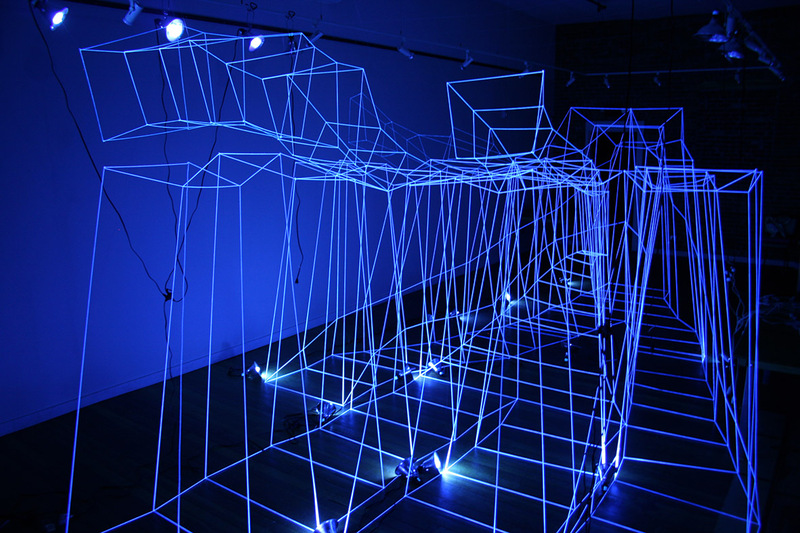 Regarded as a metaphor for one’s life trajectory, each segment of the structure is illuminated as people walk, highlighting the present moment.